LinkedIn- Worlds Largest Professional Network. 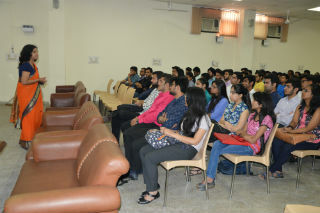 The session was conducted by Mrs. Jyoti Chugh Dwari on 10th March 2016. 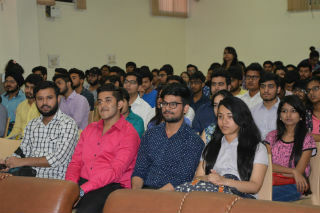 Highly qualified having Masters in Computer Application & Masters in Computer Science from DAV College, Faridabad. She has also worked with Iridium Interactive Limited for 9 years. -Analytic traffic monitoring, custom reporting optimization & implementation for Google, Yahoo & Bing. -Create, monitor & evaluate PPC Campaigns across Google, Yahoo, Face book, LinkedIn. 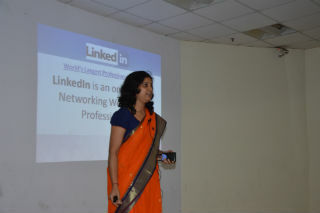 She discussed about LinkedIn – Worlds Largest Professional Network. -how to make an effective LinkedIn Profile. 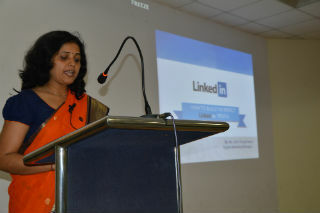 -the importance of Linkedin Profile. -how a Linkedin profile will help a student in their career.